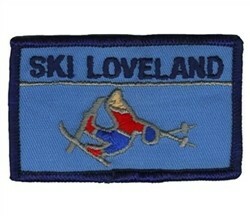 The Loveland Ski Area is the combination of the Loveland Basin and Loveland Valley Ski areas. The two areas, formerly connected by a double chairlift, are now serviced by bus. The Area is one of Colorado’s highest ski areas with a summit of 13,010 ft. (3,970 m) and the second highest lift served areas in North America at 12,697 ft. (3,870 m). The ski area takes its name from Loveland Pass, which separates it from the nearby Arapahoe Basin ski area, on the west side of the Divide. 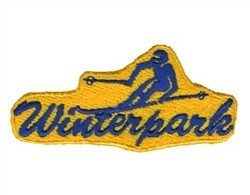 Loveland celebrated their 75th anniversary during the 2012-2013 Ski Season. 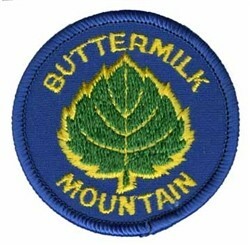 Size – 3 1/4 x 2 inches.